This hoodie holds such strong memories for me, partly because it is a symbol of the kind of man my son was. You see, this hoodie was mine. 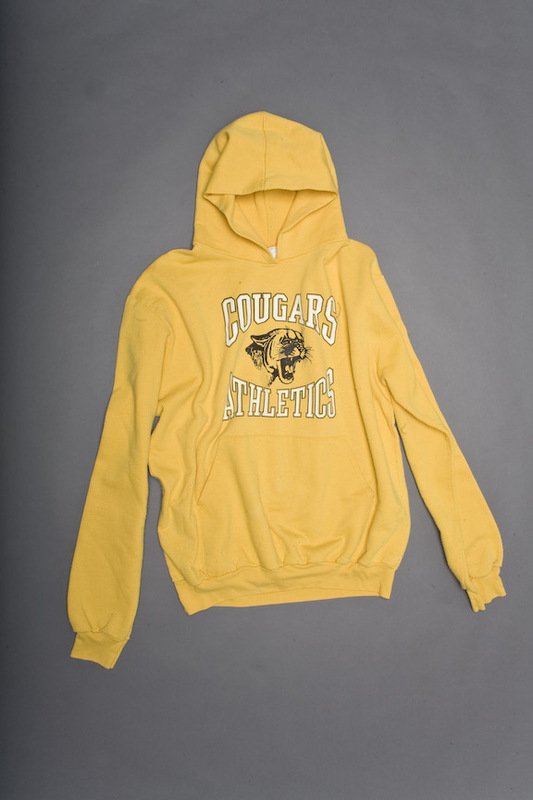 I accepted it as payment for teaching a dance class…As soon as Jason saw the hoodie, featuring the rival school's logo, he said, "I hope you're not planning to wear that mom! "...A few days later I arrived home to find Jason wearing it. Surprised, I asked, "Surely you didn't wear that to school, did you?" "Yes, I did...They threw me up against the lockers and called me names," he replied. I said, "Oh Jason, I guess you won't be doing that again." "Yes I will," he said. "Why not mom, it builds character!" Justin Jared Jason Braun's garment is incorporated into the Yellow Baby Pajama.